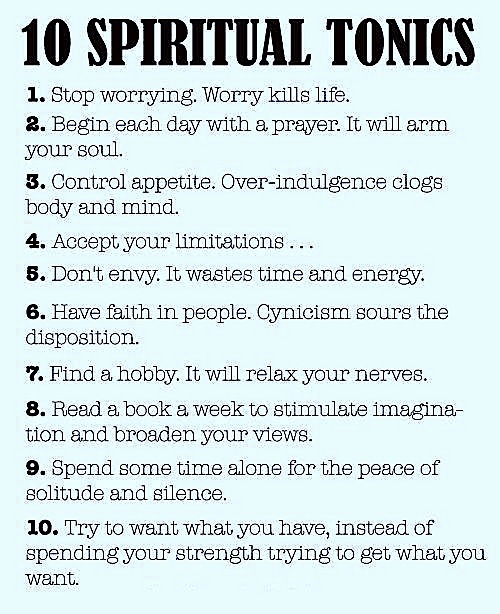 This list of spiritual tonics is really amazing. These steps can help us to reduce stress, have a happier life and be healthier. If you’re not OK with #2, you can replace it with meditation. Meditation is a fantastic tool to ease the stress, secret stress-relieving hormones and make us healthier.